The Fourth International Conference on Information Systems for Crisis Response and Management in Mediterranean Countries (ISCRAM-med 2017), is an ISCRAM event organized in Mediterranean countries, alternating between the north and the south of the Mediterranean Sea. The previous ISCRAM-med conferences were successfully held in Toulouse, France (October, 15-17, 2014) and in Tunis, Tunisia (October, 28-30, 2015) Madrid, Spain (October 26-28, 2016). The next ISCRAM-med 2017 will be held in Xanthi Greece (Polytechic School Campus – Democritus University of Thrace), Greece (October, 18-20, 2017). The ISCRAM-med Conference aims to provide an international forum for local and international researchers, practitioners and policy makers. It also aims at offering an outstanding opportunity to address and discuss new trends and challenges in the area of Information Systems and Technologies for Crisis Response and Management. Attendees are invited to present and discuss their recent research results, their experiences, best practices, case studies, and also tool demonstrations related to social, technical and practical aspects of all information and communication systems used or to be used in all phases of management of emergencies, disasters and crises. A special focus on Mediterranean related experiences will be appreciated. 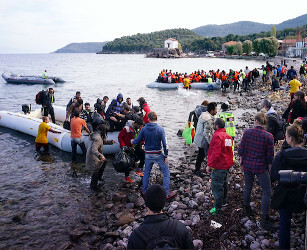 Many crises related to physical and manmade unwanted events have occurred in recent years around the Mediterranean Sea. Also, the shared history between the Mediterranean countries and common geo-political issues led to solidarity among people and cross-country interventions. This observation proves the importance of considering some of these crises in this region at a Mediterranean level rather than as isolated phenomena. It becomes appropriate now to exchange and share information and knowledge about the course and management of these crises and to get the different point of views of stakeholders, practitioners and policy makers. ISCRAM-med 2017 will include a high quality scientific program, invited speakers, posters and demonstration’s sessions. 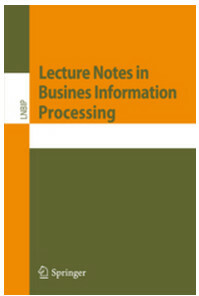 As with the previous ISCRAM-med conferences, accepted papers will be published in the Springer series “Lecture Notes in Business Information Processing” (LNBIP). Publication in the proceedings is subject to the registration of at least one author of the paper. Barry O'Sullivan, Professor and Director, Insight Centre for Data Analytics, University College Cork. John Thomas, Research Scientist, MIT AeroAstro. Nikolaos Kyfonidis, World Federation of United Nations Associations.